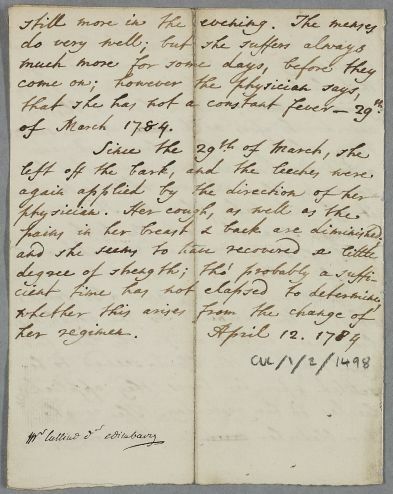 Unsigned note describing the case of an unnamed female patient who has developed a cough and other hectic symptoms. 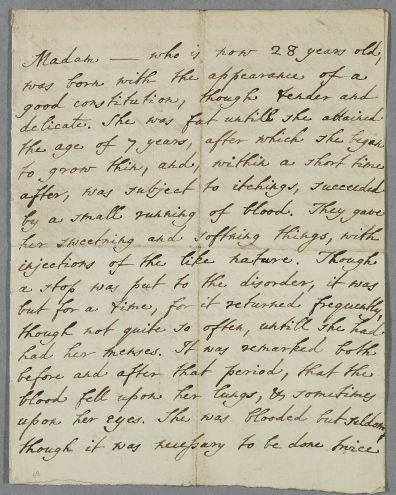 From Cullen's reply it can be ascertained that this case note was 'communicated' - if not actually written - by Sir William Forbes. 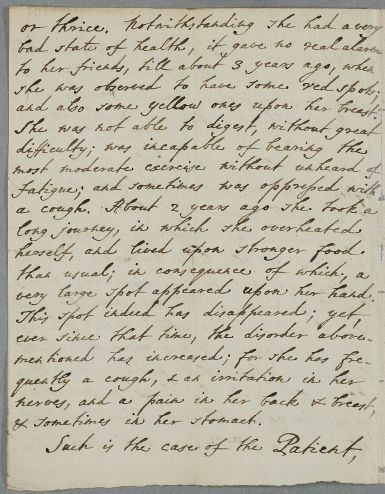 Summary Unsigned note describing the case of an unnamed female patient who has developed a cough and other hectic symptoms. 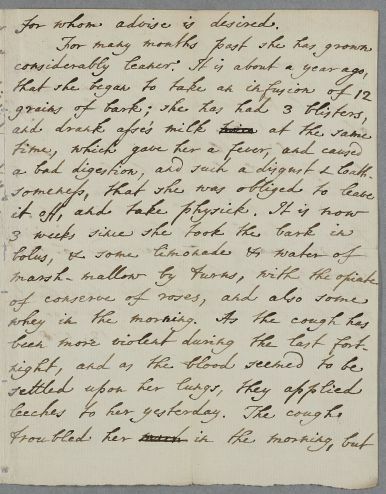 From Cullen's reply it can be ascertained that this case note was 'communicated' - if not actually written - by Sir William Forbes. Case of an unnamed female patient, aged thirty-eight, who had developed a cough and other potentially hectic symptoms. and also some yellow ones upon her breast. very large spot appeared upon her hand. and sometimes in her stomach. for whom advise is desired. that she has not a constant fever -- 29th. pains in her breast & back are diminished.